I made a keto orange walnut cranberry sauce for Thanksgiving. This is a modified recipe of the cranberry sauce recipe I have made for years for Thanksgiving for my family. I am not sure where I got the original recipe from because I have been making it such a long time. 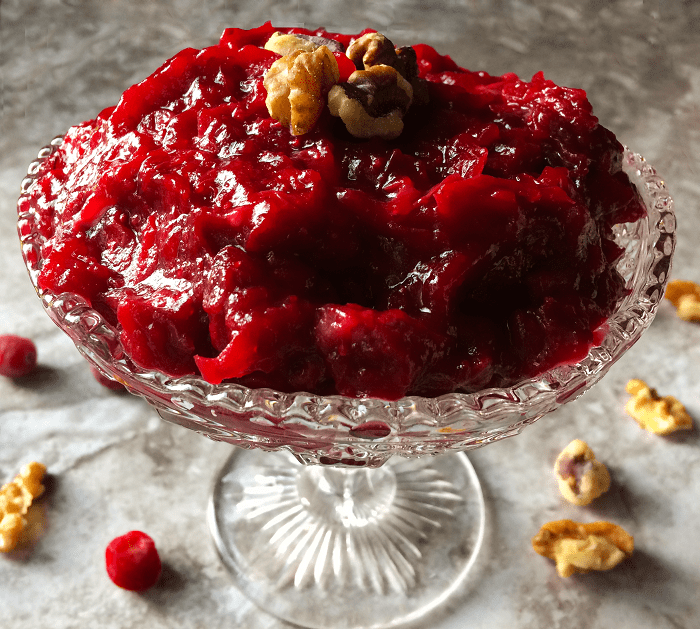 It has the tanginess of cranberries with a hint of orange and the crunch of the walnuts that make this a winner that your family and guests will just love. Extract or Emulsion… Which one to use? The original recipe called for mandarin oranges, but since that would make the carb count way too high I opted to use orange emulsion instead. However, you could use orange extract if you prefer. I like using emulsions instead of extracts, except for vanilla, for that, I just use the cheap vanilla extract. Emulsions are water-based instead of alcohol-based so it doesn’t have the taste of alcohol in non-cooked items. Using extracts in cooking is fine because the alcohol taste will evaporate when the item is heated. For non-cooked items, I think that emulsions are a much better choice, but it is all a personal preference. Nutrition for the recipe is on My Fitness Pal just search Certainlyketo-Keto Orange Walnut Cranberry Sauce. 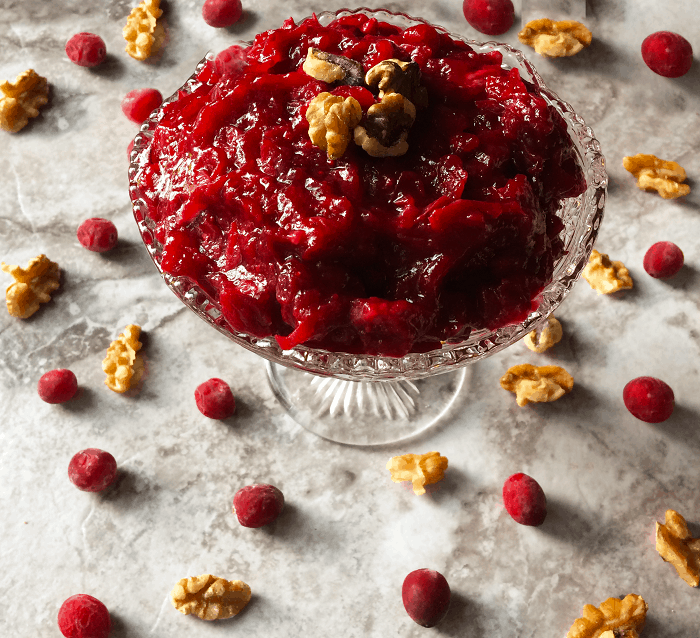 It has the tanginess of cranberries with a hint of orange and the crunch of the walnuts that make this a winner that your family and guests will just love. Pour the whole bag of cranberries into a medium saucepan with the water. Cook over medium heat, stirring occasionally, for 8-10 minutes or until cranberries mash easily with a spoon. Mash cranberries with a spoon. Leave some cranberries whole (optional). Stir in emulsion and stevia. Add chopped walnuts and stir. Cool to room temperature. Place in an airtight container and store in the refrigerator or serve immediately after cooling.